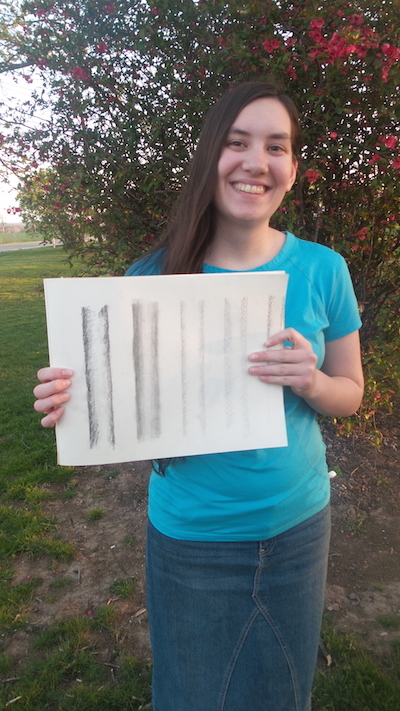 Drawing Success Art Curriculum by Jan Bower is the best DVD Homeschool Art program for teens and adults I have ever come across. 36 easy to follow DVD lessons and step-by-step demonstrations will complete any homeschool curriculum. 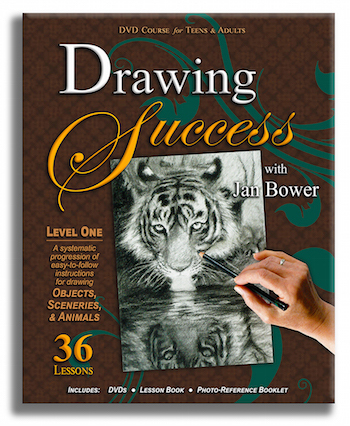 Drawing Success was created by Jan Bower in 2014, a Master artist who teaches an incredible DVD art Curriculum. Her love of art shows through her DVD classes with her ready smile and encouraging words. By teaching step by step with 36 easy to follow lessons, the student easily learns how to draw using basic principles that will enable them to draw anything. Last year, the summer of 2014, I was at a homeschool convention in Ohio when I came across a booth with books that were beautifully illustrated. I was so impressed by the quality and detail of the drawings that I engaged the lady at the booth in conversation. After speaking at length with her, I learned that she was the artist that had created such beautiful drawings for her husband’s books. Her name was Jan Bower. The longer I talked to her the more I fell in love with not only her art but who she was as a person. Married for over 36 years with 12 children, I learned she was a gifted art instructor who has taught art in her home studio for nearly 20 years. Not only that, but I found out she was working on an incredible DVD art Curriculum for teens and adults. Now I was really intrigued…I have 10 children. I have looked for a good art curriculum for several years. Everything I have found was for children or just your basic “arts and crafts”. But this…this was a real art curriculum that was going to be professionally put together to teach HOW to draw. At the time, the curriculum was not completely finished. In January of 2015 I received an email asking me to review Drawing Success because it was finished and ready for use. I was thrilled, but my 17 year old daughter was even more excited! 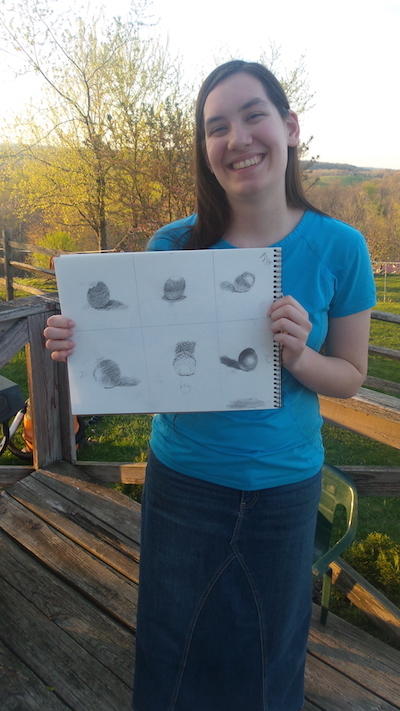 Jan Bower's Drawing Instruction for Teens & Adults. 36 lessons filled with hours of easy-to-follow demonstrations and step-by-step instructions. 10 DVDs, 176-page Lesson Book, and Photo Reference flip Booklet, in a beautiful convenient case. I loved the Kit. 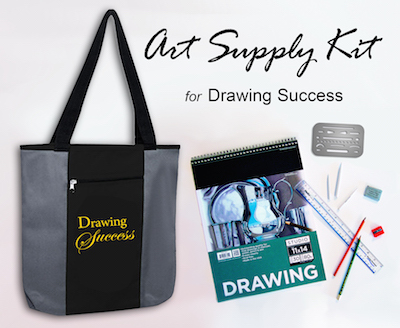 I would not know what supplies to purchase or even where to purchase them, so the fact that Drawing Success offers a complete kit on their website is huge! Plus, my daughter loved the bag! My daughter is 17 and loves art. Although Drawing Success Art Curriculum is geared to teens and adults, my 10 year old son who loves art as well sat in on the classes. Drawing Success trains teens & adults in the essential principles that are important to artistic success. These lessons teach so many important basic principles that help my daughter build on each time she draws. “I have learned to draw with my whole arm and be as loose as possible because the more loose I draw, the better circles can be drawn. I also learned that mistakes are okay but… don't start over. These illustrate the 5 different shading techniques. The teacher starts very basic and works her way up to more complicated technique. For instance, teaching basic shapes, then adding skin, and shading, light and dark...ect...each time adding more dimension to the drawings. These illustrate how shading differs when light moves over and around the egg. We have only completed the 20 lessons, but they are incredible! Drawing success art curriculum teaches you HOW to draw and is probably the most professional quality sold that takes a student from point A to point B to point C to Point D…always building on each lesson. By the time we finish this curriculum my daughter is going to have had a professor artist teaching her how to draw the correct way…for life. I loved the 7 chapter review quizzes and the 70 Glossary entries of art terminology...my daughter and I are learning a whole new language! In the lesson book are 36 helpful tips on how to succeed as an artist, and 36 thoughts for success by Jan Bower. I purchase a math curriculum that is CD-rom based. When I purchased it, I get to keep it and reuse it as often as I need for my other children. I payed 189.99 for it...it is worth every penny to me because of the excellent education it gives my children. This is exactly how I feel about the quality of Drawing Success. I get to keep the lessons for all my children and reuse it as often as I need. Drawing Success Art Curriculum is probably the most professional quality sold that takes a student from point A to point B. When I purchase this Art curriculum I really am getting a bargain. Most art classes in my area are 100 dollars for 8-10 lessons. That's only 10 dollars a lesson, but it is only giving a small craft-like quality art. I am getting a professional artist teaching my child how to draw the correct way... For life. I can reuse this with each of my other children by only purchasing another lesson book. This is completely worth the cost. Have you used Drawing Success? What do you like about this DVD based Homeschool Art Curriculum? What do you think are the Pros and Cons of this curriculum? Share it! 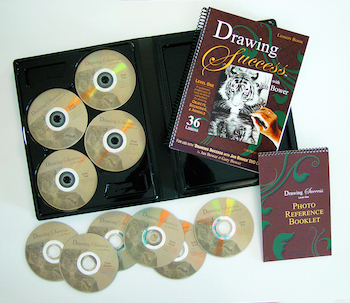 Help others with your Review of Drawing Success DVD Art Curriculum.